Welcome! We’re glad to have you here as a part of our automotive family as you search for the perfect vehicle to get you where you’re going. Get comfortable, relax, and plan to stay a while as you browse our exciting collection of new vehicles. Our inventory has a model for every driver in the area, regardless of driving needs or budget. We want to serve the entire Fort Collins area and can do that only when we provide a massive and versatile inventory. Check it out for yourself; don’t just take our word for things. The Wrangler is a popular favorite for many drivers. It’s rough and rugged exterior suit the Colorado roads wonderfully and its durability and style seal the deal. We may have specials to Fort Collins for this model, but there is only one way to find out. Perhaps you’re more of a Cherokee type of driver. 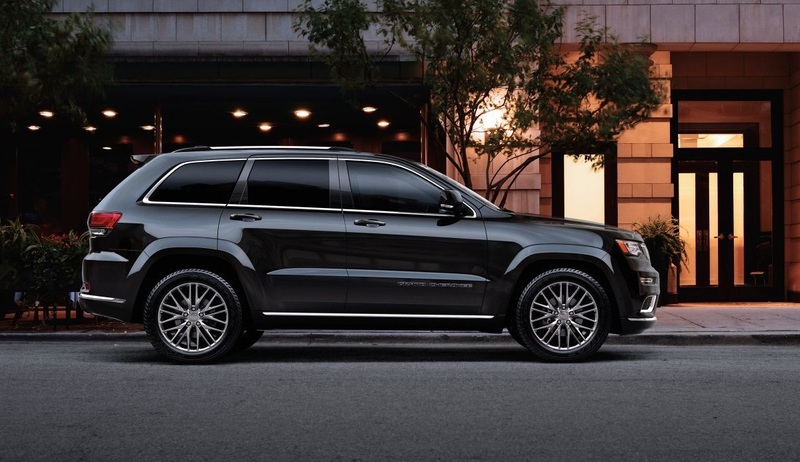 The Cherokee is another model that drivers have trusted for many years now. We have the perfect Cherokee to suit your driving style! The Renegade is one of the newest models to the lineup and a welcomed addition it has been. The Renegade is fun and funky, with its own attitude and style. Of course, these are only a few of the many models you’ll find in our inventory. Don’t waste any more time and browse our inventory right away! Check out our great offers on the vehicle you want to drive! As a trusted Fort Collins are Jeep dealer for many years now, we understand the importance of the right price. Customers deserve to spend their money on a vehicle that brings incredible value their way. We strive to bring the best specials to Fort Collins so our customers always know they’re getting a phenomenal deal no matter which model they want to own. Contact Pollard Jeep to learn more about our dealership specials and promotions and score a great vehicle at an even better price. The deals change but we can assure you of an amazing special when you are ready to buy. We’ll provide a free quote for the exact model vehicle you’re interested in buying, answer your questions and concerns, and provide all of the details about the vehicle you want to buy that you need. Ask about our specials to Fort Collins and enjoy savings that are unavailable to drivers elsewhere in the country. Complete our online auto loan application and learn how much money we can approve you for. The simple application requests details that allow us to get to know you and your financial situation a little bit better. It is easy to complete the application any time and take only a few minutes of time. Most people who visit our Jeep dealer serving Fort Collins depend on the money received from an auto loan to buy a car. We make the loan application process as easy as possible. Once you submit your information, someone from our Fort Collins are Jeep dealer will contact you to discuss your application. Serving the needs of the community makes us happiest. This means we’ll do all that we can to get you approved for a loan for a great new vehicle. Good or bad credit, contact Pollard Jeep to learn how we can help you drive off the lot in an awesome vehicle today. When you need a service center serving Fort Collins, contact Pollard Jeep today. Our certified service technicians vow to keep your vehicle running smoothly and efficiently for as long as possible through top-notch service done right the first time. Whether your vehicle experiences an oil leak, the brakes are squealing, or the transmission is knocking, our service technicians have the tools, the expertise, and the dedication to get your vehicle back to tip-top condition again. Preventative maintenance services such as check engine light service, oil changes, and tire rotations are also available. If it involves the upkeep of your vehicle, rest assured our Fort Collins Area Jeep dealer service center can handle your needs. Whether you’re in the market to purchase a new vehicle or want to keep your current model operating its best, our Fort Collins Area Jeep dealer is here to help. Our dealership offers convenient hours, state-of-the-art features, and technicians and employees who want to serve your needs. There are many Fort Collins Area Jeep dealer options, but there is only one Pollard. We’re your one-stop-automotive-shop serving Fort Collins and would love to show you firsthand why so many people have trusted our name for so long now. We welcome you to the family.